VietPress USA (Feb. 28, 2018): Within first year of Trump's presidency, there are 37 high rank administration officials who've resigned or been fired under Trump (https://www.washingtonpost.com/news/politics/wp/2018/02/08/thirty-seven-administration-officials-whove-resigned-or-been-fired-under-trump/?utm_term=.fe13968d8dfb). Many top rank officials of Trump administration fired our resigned such: Paul Manafort, Rick Gates, Michael Flynn, Steve Bannon, Omarosa Manigault Newman, Dina Powell, Tom Price, Sebastian Gorka, Anthony Scaramucci, Reince Priebus, Michael Short, Sean Spicer, Walter Shaub, Mike Dubke, Angella Reid, Sally Yates, Rob Porter, David Sorensen. 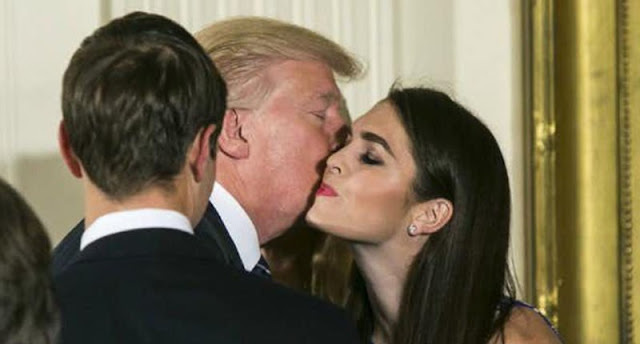 Today the out list added Hope Hicks, 29, a beautiful former model who has been a key player but kept mostly behind the scenes both on the campaign trail and at the White House as Communications Director. 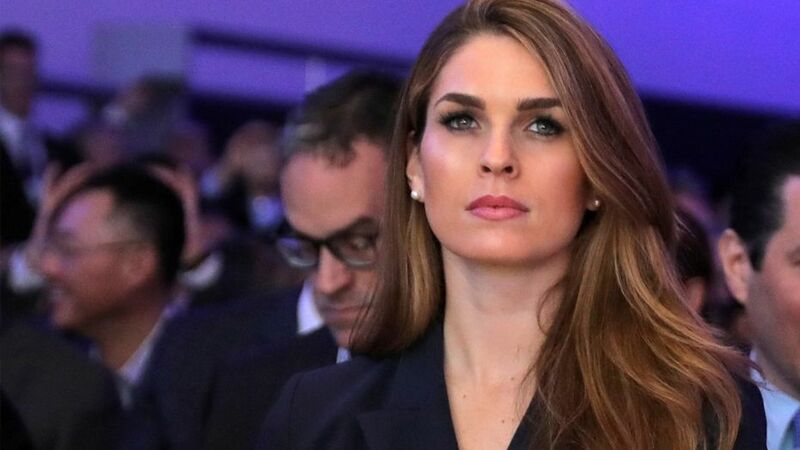 Media said that Hope Hicks, who has been at President Trump’s side since before the 2016 campaign, announced her resignation today on Wednesday, Feb. 28, 2018. Her departure, first reported by the New York Times and then confirmed by administration officials, is the latest in a series of shakeups for the White House communications team. 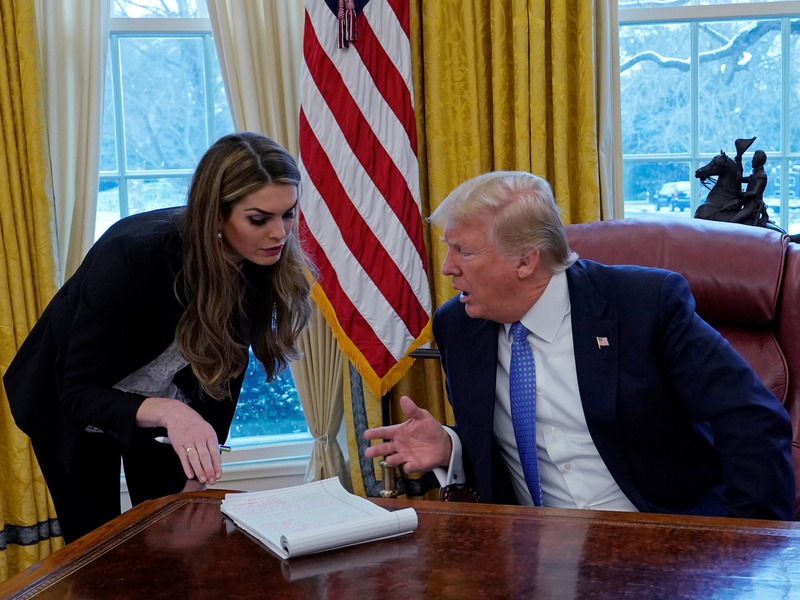 Her resignation announcement came a day after Ms. Hope Hicks testified before the House intelligence committee’s Russia probe, saying she had told “white lies” to the president but denying the campaign in any way colluded with Moscow. WASHINGTON (Reuters) - Hope Hicks, one of U.S. President Donald Trump's longest-serving aides, is resigning from her job as White House communications director, White House spokeswoman Sarah Sanders said on Wednesday. Sanders told reporters the timeline for Hicks' departure was unclear. She said her departure was not related to her testimony to a congressional committee on Tuesday about an investigation into Russian meddling in the 2016 U.S. election. She is expected to leave in the next few weeks. Hicks, 29, was caught up in a controversy surrounding former White House staff secretary Rob Porter, whom she had been dating. She worked to defend him when charges of domestic abuse against his two former wives emerged. Porter was ultimately forced to resign. She was one of the first people hired by then-businessman Trump when he began his campaign for the presidency, and is one of his most trusted advisers. Aides said she had approached the president and told him she wanted to leave so she could start exploring opportunities outside of the White House. "Hope is outstanding and has done great work for the last three years. She is as smart and thoughtful as they come, a truly great person," Trump said in a statement released by the White House. "I will miss having her by my side but when she approached me about pursuing other opportunities, I totally understood. I am sure we will work together again in the future." On Tuesday Hicks declined to answer questions about the administration from members of the U.S. House of Representatives Intelligence Committee investigating Russia and the 2016 U.S. election, lawmakers said. Hicks was Trump's spokeswoman during the campaign. White House Chief of Staff John Kelly said in a statement of Hicks: "To say that she will be missed, is an understatement." Hicks took over as communications director in September after the short, difficult tenure of Anthony Scaramucci, who was fired. She is credited behind the scenes for stabilizing the communications operation. Hicks said in a statement: "There are no words to adequately express my gratitude to President Trump. I wish the President and his administration the very best as he continues to lead our country."